Historic Falmouth Cruise Port is a 32-acre cruise terminal and park packed with historic attractions. Which of the four Jamaica cruise ports is the best one to visit? It depends on these tips. Ocho Rios cruise port visitors will find one of the best destinations for things to do on Jamaica. Montego Bay, Jamaica, is a western Caribbean cruise port and the tourism capital of Jamaica. The many beautiful Jamaican beaches offer a place for leisure, relaxation, recreation, and breathtaking scenery. The best times to visit Jamaica depend on the average monthly weather and hurricane season. Top Jamaica attractions include Dunns River Falls, the historic Falmouth and Dolphin Cove. 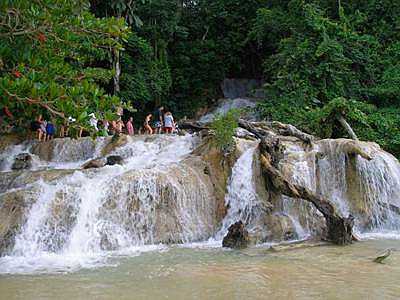 A Jamaica vacation is a great way to visit an island with interesting people and things to do.